It's been awhile since we stayed home on Thanksgiving and ate (relatively) traditional Thanksgiving food - we go to the Indian restaurant! Personally, I prefer this tradition because I love Indian food. 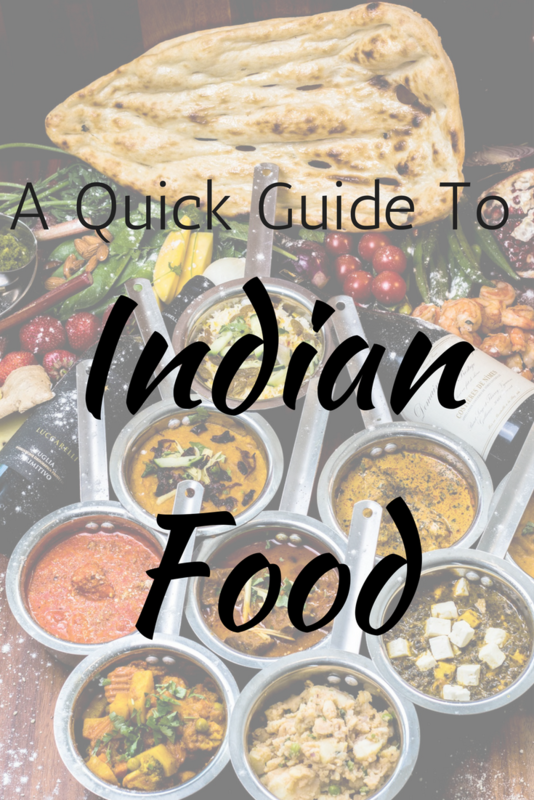 Obviously since my dad is Indian, I was raised on it, so I love the flavors and spices. But I know that it can be totally overwhelming for beginners. Even those who have tried it before tend to stick to the same things on the menu, but I promise you it's safe and delicious to branch out. Let me tell you about a few basics so you'l feel confident trying some new dishes. Naan. Must get. It's like a fluffier, doughier pita bread, and everyone likes it. Most dishes are serves with the traditional white Basmati rice, but you have to order the naan, and I highly recommend you do. I like the garlic naan, but the plain is good too! Pakora. Pakora is chickpea flour battered and deep fried little pieces of things like spinach, potatoes, onions. So you can't not like it. Everything fried tastes good, let's get real here. Samosa. I feel like every culture has a variation of a dough pocket filled with meat or potatoes. (Think dumplings, crab rangoon, perogies, etc.) This is the Indian version. They're fried, and come with either meat inside or vegetables. Usually both are available. Mulligatawny Soup. This is a blended lentil and spinach soup. Heavily spiced with traditional spices like curry powder, turmeric, etc. and it's perfect for vegetarians. Lassi. This is a drink, it's delicious. It's made from yogurt and rose water, generally, and can be made sweet, salty, or into flavors like mango. If you've had kefir or melted frozen yogurt, you pretty much know what a lassi tastes like. Tandoori Chicken. Any time the word tandoori appears, it means it was cooked in the traditional Indian tandoor clay oven, which means it's cooked fast over direct heat and generally gets a smoky flavor. The tandoori chicken is marinated in yogurt and spices (paprika, turmeric, chili powder) before it's lowered into the tandoor oven. It's usually served with rice and on a similar plate as you would get fajitas, with the onions and everything. This is a popular dish and on the lower end of the spice range. Chicken Tikka Masala. This is one of the most popular and well known dishes, and it's also one of the heaviest, sauce-wise. Meaning that it likely never originated in India, but rather the U.K. It's chunks of chicken that are cooked in that tandoor oven I mentioned, then covered in a creamy tomato and yogurt sauce, with Indian spices of course. Not for heat, just for flavoring. Almost everyone loves this. Vindaloo. Vindaloo means spicy, so if you're not a spice person, steer clear. It's a curry, and you add what you like best - so you could have chicken vindaloo, lamb vindaloo, potatoes, etc. The flavor is delicious but it's often the spiciest thing on the menu so be warned. Biryani. Like a vindaloo, you choose a biryani based on the protein you like, so it will appear on the menu as chicken biryani, vegetable biryani, etc. Unlike vindaloo, however, it's a rice based dish rather than a curry dish, so it'll arrive as just long grain rice mixed with spices, your protein, and some vegetables, usually peas. Saag Paneer/Saag Aloo. These two dishes are similar, the different being that paneer means fresh cheese and aloo means potato. The 'saag' part is a spinach mixture, it's very creamy because it's blended with ghee (butter.) Similar to 'spinach souffle' in American culture, but without the heavy cream. Vegetarians are often fans of this dish, mixed with rice. Baingan Bharta. This is my personal favorite Indian dish, which is fire roasted eggplants, blended with spices. It has a nice smoky/woody taste. No matter what Pinterest claims, you absolutely cannot properly make this at home. You need the tandoor oven to get the right flavor. It varies from restaurant to restaurant, and I prefer when it's really blended and smooth, which I eat with rice and garlic naan. Gulab Jamun. It's like a milky dough ball, that's the best way to explain it. They look like donut holes but I don't think they taste very sweet on their own, they just taste doughy. They come served with a rose sugar syrup, which makes them into dessert. Kulfi. This is the Indian version of ice cream, my dad likes mango kulfi. It's not what you think ice cream is though, so don't say I didn't warn you. The sugar content just isn't there. The great thing about Indian restaurants is that most of them feature a lunch or dinner buffet (or both!) so I highly recommend trying that out since you can try a ton of different dishes to find a favorite. Are you a lover of Indian food? Just starting to brand out? Let me know in the comments.